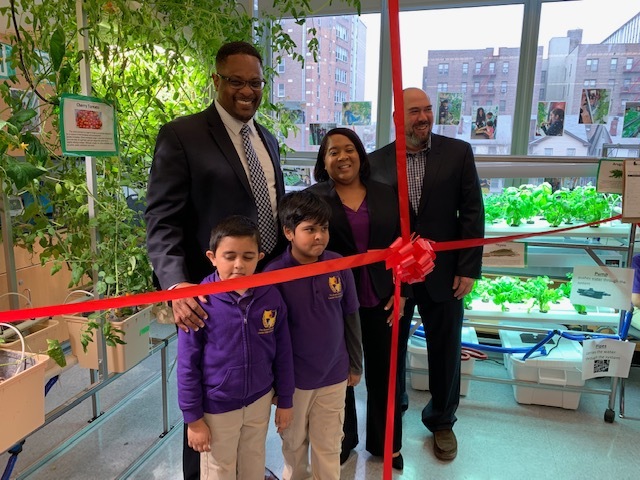 The Queens School for Leadership and Excellence gave their Hydroponics Greenhouse Classroom an official Ribbon Cutting event! 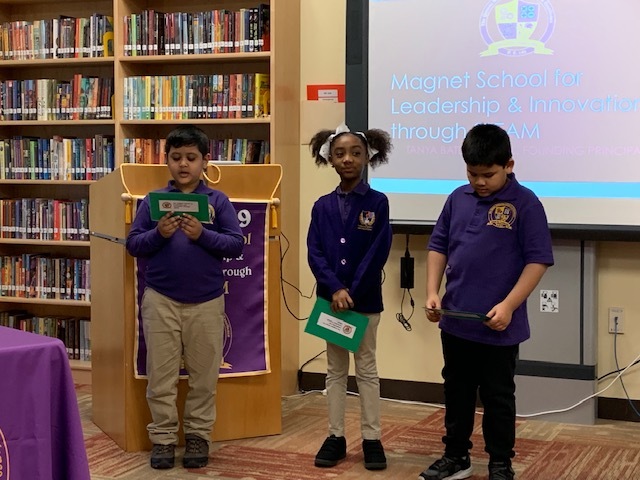 The celebration began with a breakfast and school presentations in the library, which included a musical presentation from the Student Leaders and some words from Principal Howell and Magnet Coordinator, Leslie Brown. 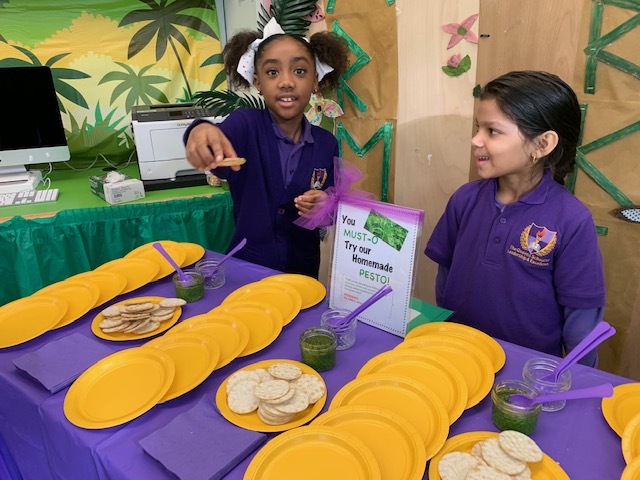 Student Leaders toured guests through the hydroponic systems, served class-made pesto on crackers at their Farm Stand table, and demonstrated the Energy Bike. 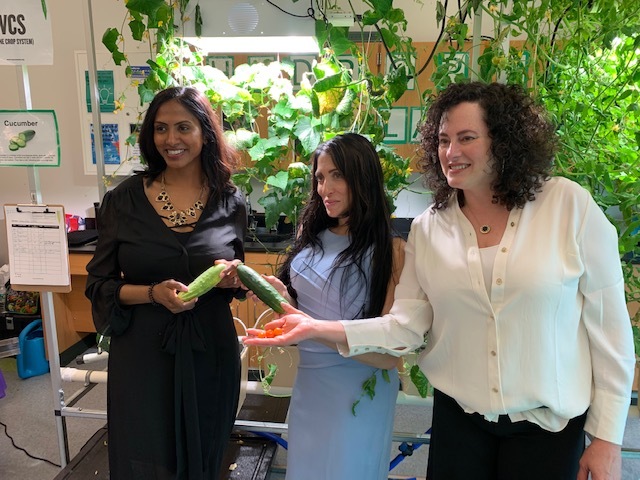 Council Member Rory Lancman for the 24th district and Senator Leroy Comrie were awarded honors for their support of Q349 and science education. Lynette Shelborne-Barfield, dir. 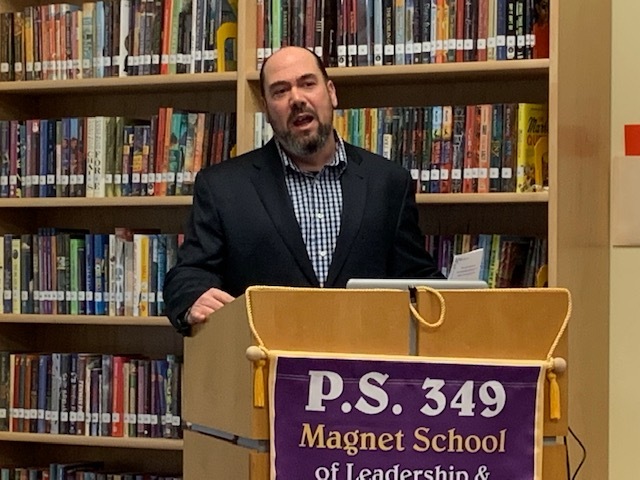 of special Projects & Education Liaison for Senator Comrie spoke, as well as Kristen Jeffries, constituent Liaison for Council Member Lancman. Dr. Andre Spencer, Exec. 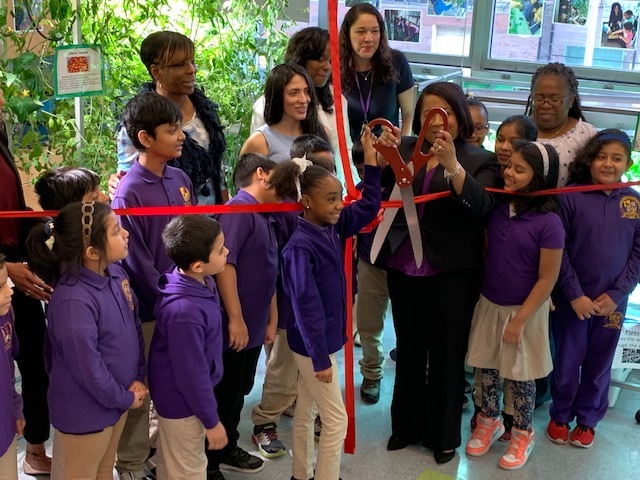 Superintendent was also in attendance.